Many fans find penalty shoot-outs to be an unsatisfactory way to decide knockout-stage soccer matches. Described by FIFA President Sepp Blatter as a ‘tragedy’, shoot-outs decided the recent Sydney FC- Melbourne Victory A-League Grand Final, and more famously, the FIFA 2006 World Cup Final. However, an innovative rule may be at hand. 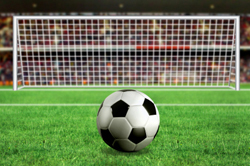 A study by La Trobe University economists uses econometric modelling and regression techniques to estimate what would happen if the shoot-out were to be staged before (rather than after) extra-time, with the shoot-out result determining the winner only if the subsequent extra-time does not separate the teams anyway. The research – by Dr Jan Libich and Dr Liam Lenten from La Trobe’s School of Economics and Finance, along with co-author Dr Petr Stehlίk at the University of Western Bohemia in the Czech Republic – builds on the theoretical model by Juan Carrillo (University of Southern California), published in the Journal of Sports Economics in 2007. Using a comprehensive database of over 500,000 matches from scores of various domestic and global competitions, the authors compare scoring outcomes of two groups of matches, whereby one group closely simulates what the proposed rule change would do, and the other group represents the current rule. According to Dr Libich: “the key to the rule lies in the economic incentives that it creates for players. The team that loses the shoot-out under this proposal would become more attacking in extra-time than currently because they have to score to win, and while the shoot-out winner becomes more defensive, what really matters is the net of these two effects”. Subsequently, the authors’ results indicate that for competitions such as the World Cup and the UEFA club competitions, the probability of scoring in extra-time would increase on average by 45-60% under the new rule, depending on various factors such as the result in regulation time, evenness of the teams, stage of the tournament and home ground advantage. The proportion of goal-less extra-times would therefore approximately fall by half: from almost 50% currently to below 25%. He also says that it would be a vast improvement on the previous experiments, the so-called ‘golden/silver goal’ rule: “it backfired because it incentivised both teams to be even more defensive due to the higher ‘cost’ of conceding a goal, therefore it undermined its own intention, and was eventually abandoned after Euro 2004”. The findings are currently being presented by Dr Lenten at several institutions across Europe in the lead up to the World Cup, including a ‘Psychology of Football’ conference in London, and seminars at the Universities of Birmingham, Iceland and Zürich – the home of FIFA. Dr Libich says the proposed rule change also yields additional benefits, such as finishing the game as a team contest in open play, and alleviating the pressure and personal ‘tragedy’ of individual players: ‘the players that miss the penalty still get 30 minutes to redeem themselves, and go from villain to hero’. For these reasons, Dr Libich argues that FIFA should consider trialling the proposed rule change in lower-tier competitions, and if the rule proves successful, eventual expansion across the board. The authors acknowledge that such a change is radical to the long-standing rule (penalty shoot-outs were ratified by FIFA in 1970). Nevertheless, Dr Libich hopes that the idea is not evaluated critically simply because of the ‘tyranny of the status quo’.